A total of one new arrivals this week from Jo Fletcher Books. The Swords of Good Men (The Valhalla Saga #1) by Snorri Kristjansson (Jo Fletcher Books Hardcover 01/07/2014) – Viking fantasy! This was originally published in the UK in the summer of 2013, it will be hitting US Shelves in January 2014. To Ulfar Thormodsson, the Viking town of Stenvik is the penultimate stop on a long journey. Tasked with looking after his cousin after disgracing his father, he has travelled the world and now only wants to go home. But Stenvik is different; it contains the beautiful and tragic Lilja, who immediately captures Ulfar’s heart. Because of her, he persuades his cousin to stay. But Stenvik is also home to some very deadly men, who could break Ulfar in an instant. King Olav is marching on Stenvik from the East, determined to bring the White Christ to the masses at the point of his sword, and a host of bloodthirsty raiders led by a mysterious woman are sailing from the north. But Ulfar is about to learn that his enemies are not all outside the walls.. I'm in Two Places at Once! Since it is a Monday morning, that means my Orphan Black Recap is now live. This time, I take a look at the second episode, Instinct. Clones and more clones! Good stuff, if you've seen the episode, go check it out. Also today, I can let the cat out of the bag, the fine folks at SF Signal have invited me to write for them. 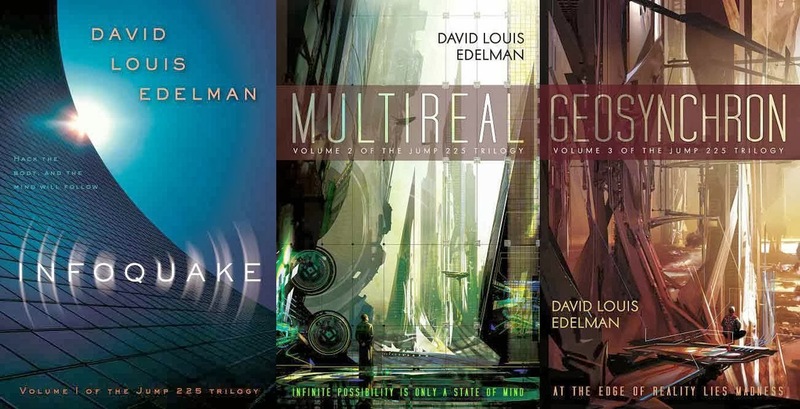 I am writing a column entitled The Completist wherein I examine completed SFF series. Ideally, I'll be looking at series that are a bit older because there sure is an abundance of great stuff in the past of SFF in addition to the "Hot! New!" releases. A larger assortment than usual here at the O’Stuff household. Battleground by Terry A. Adams (DAW Mass Market Paperback 10/01/2013) – New book in a series that was recently re-released in omnibus format. .
Hanna Bassiano, formerly known as Lady H’ana ril-Koroth of D’neera, was, like all the people of the planet D’neera a telepath. Mutated from true-human stock, the D’neerans had claimed a world of their own to escape persecution, and started a flourishing civilization there. Now, accepted by true-humans, some like Hanna had ventured out into the wider universe, using their talents to the benefit of all. Hanna herself had become humanity’s expert in first contact with other sentient races. And though her very first mission had nearly ended in her death and could have resulted in a devastating interstellar war, both Hanna and humanity had survived. Several additional contacts had seen her firmly established as the person to spearhead this new first-contact mission. She and her handpicked team were now aboard alien contact ship Endeavor Three, following a centuries’ cold trail to a distant world that had sent its own expedition to the human colony world New Earth two hundred years ago. Long before Endeavor reached the planet they came to know as Battleground, Hanna began to explore the starways with her mind, seeking contact with this legendary race. But when at last she managed to touch the minds she sought, Hanna could scarcely believe what she had found—a race that seemed to exist only to fight, to breed, and to die. How could they survive for all these years? How had they come to be like this? And how would they respond to a peaceful expedition of humans arriving on their world? This brand-new science fiction novel follows The D'neeran Factor, an omnibus of Sentience and The Master of Chaos, and continues the adventures of Hanna Bassiano, human telepath and first-contact specialist aboard the spaceship Endeavor. Year of the Demon (A Novel of the Fated Blades) by Steve Bein (Roc Trade 10/01/2013) – Bein's sequel to Daughter of the Sword. Detective Sergeant Mariko Oshiro has been promoted to Japan’s elite Narcotics unit—and with this promotion comes a new partner, a new case, and new danger. The underboss of a powerful yakuza crime syndicate has put a price on her head, and he’ll lift the bounty only if she retrieves an ancient iron demon mask that was stolen from him in a daring raid. However, Mariko has no idea of the tumultuous past carried within the mask—or of its deadly link with the famed Inazuma blade she wields. The secret of this mask originated hundreds of years before Mariko was born, and over time the mask’s power has evolved to bend its owner toward destruction, stopping at nothing to obtain Inazuma steel. Mariko’s fallen sensei knew much of the mask’s hypnotic power and of its mysterious link to a murderous cult. Now Mariko must use his notes to find the mask before the cult can bring Tokyo to its knees—and before the underboss decides her time is up. The Incrementalists by Steven Brust and Skyler White (Tor Hardcover 09/24/2013) – I have thoroughly enjoyed everything I’ve read by Brust (as pointed out here), this one is getting quite the good buzz. I don’t know much about White, though her name (as I’m has been pointed out to her numerous times in the last few years) is very … familiar. The Incrementalists—a secret society of two hundred people with an unbroken lineage reaching back forty thousand years. They cheat death, share lives and memories, and communicate with one another across nations, races, and time. They have an epic history, an almost magical memory, and a very modest mission: to make the world better, just a little bit at a time. Their ongoing argument about how to do this is older than most of their individual memories. Phil, whose personality has stayed stable through more incarnations than anyone else’s, has loved Celeste—and argued with her—for most of the last four hundred years. But now Celeste, recently dead, embittered, and very unstable, has changed the rules—not incrementally, and not for the better. Now the heart of the group must gather in Las Vegas to save the Incrementalists, and maybe the world. A Dance of Cloaks (Volume 1 of Shadowdance) by David Dalglish (Orbit, Trade Paperback 08/06/2013) – Following in the footsteps of Michael J. Sullivan, David Dalglish makes the leap from success in the self-published arena to traditionally published thanks to the fine folks at Orbit Books. The Underworld rules the city of Veldaren. Thieves, smugglers, assassins... they fear only one man. Thren Felhorn is the greatest assassin of his time. All the thieves' guilds of the city are under his unflinching control. If he has his way, death will soon spill out from the shadows and into the streets. Aaron is Thren's son, trained to be heir to his father's criminal empire. He's cold, ruthless - everything an assassin should be. But when Aaron risks his life to protect a priest's daughter from his own guild, he glimpses a world beyond piston, daggers, and the iron rule of his father. Assassin or protector; every choice has its consequences. Fantasy author David Dalglish spins a tale of retribution and darkness, and an underworld reaching for ultimate power. 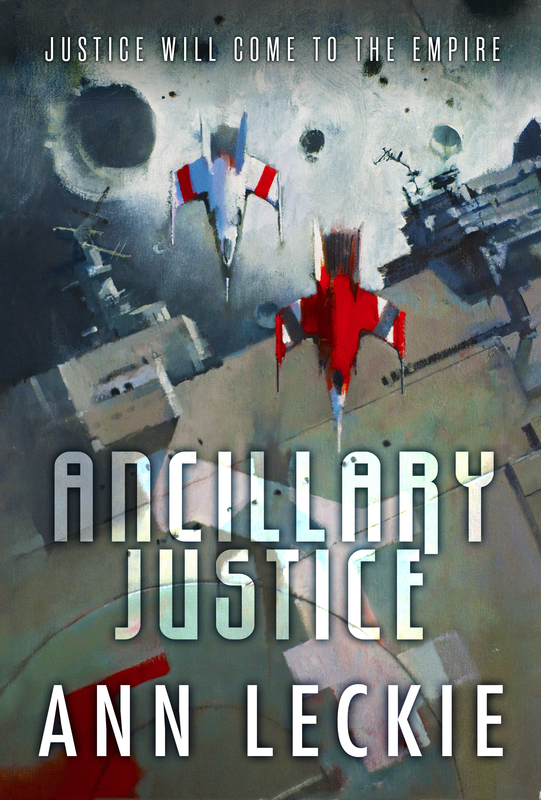 Ancillary Justice (Volume 1 of The Paradox Series) by Orbit, Trade Paperback 10/01/2013) – I’ve seen nothing but positive squee from the people I follow on twitter who have read this book, so this one jumps up the pile. Breq is both more than she seems and less than she was. Years ago, she was Justice of Toren–a colossal starship with an artificial intelligence linking thousands of corpse soldiers in the service of the Radch, the empire that conquered the galaxy. An act of treachery has ripped it all away, leaving her with only one fragile human body. And only one purpose–to revenge herself on Anaander Mianaai, many-bodied, near-immortal Lord of the Radch. Tour of the Merrimack: Volume 1 (The Myriad and Wolf Star) by R.M. Meluch (DAW Mass Market Paperback 10/01/2013) – This space opera/military SF has been on my radar for a while, I'd received later books in this series for review and they intrigued me. Moreover, Jo Walton's and Liz Bourke's pieces on Tor.com convinced me (as do many of their pieces) I need to get a start on these books. 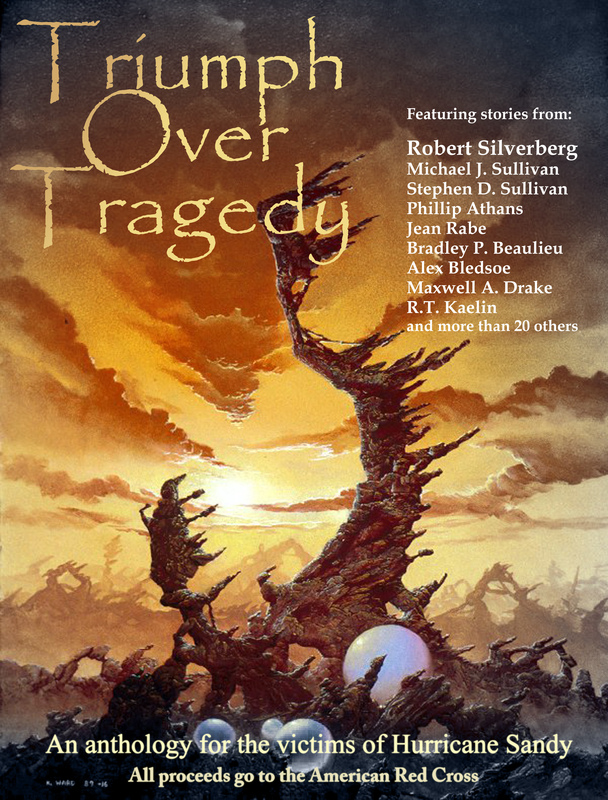 This omnibus edition includes the first two novels of R.M. Meluch's acclaimed Tour of the Merrimack series, The Myriad and Wolf Star. The One-Eyed Man by L.E. Modesitt, Jr. (Tor Hardcover 09/17/2013) – The latest from Modesitt (whose books I’ve received more of than any other author I think) started out as a short fiction project, but turned into this novel. The stand-alone nature of it has me strongly considering reading it. The colony world of Stittara is no ordinary planet. For the interstellar Unity of the Ceylesian Arm, Stittara is the primary source of anagathics: drugs that have more than doubled the human life span. But the ecological balance that makes anagathics possible on Stittara is fragile, and the Unity government has a vital interest in making sure the flow of longevity drugs remains uninterrupted, even if it means uprooting the human settlements. Offered the job of assessing the ecological impact of the human presence on Stittara, freelance consultant Dr. Paulo Verano jumps at the chance to escape the ruin of his personal life. He gets far more than he bargained for: Stittara’s atmosphere is populated with skytubes—gigantic, mysterious airborne organisms that drift like clouds above the surface of the planet. Their exact nature has eluded humanity for centuries, but Verano believes his conclusions about Stittara may hinge on understanding the skytubes’ role in the planet’s ecology—if he survives the hurricane winds, distrustful settlers, and secret agendas that impede his investigation at every turn. The One-Eyed Man is a thrilling new far-future science fiction novel from New York Times bestseller L. E. Modesitt, Jr. Vicious by V.E. Schwab (Tor Hardcover 08/24/2013) – This is Schwab’s first “adult” book and is a superhero / supervillain story. Though I admit to being close-minded and preferring my superhero stories in the four-color glory, this one really intrigues me. Seems like Schwab is playing a bit on the Reed Richards/Doctor Doom relationship. Monday, my recap of "Natural Selection" the first Episode of Orphan Black as part of the Orphan Black Rewatch posted. If you haven't already, go check it out so you can learn what happens when somebody decides to guzzle a container of liquid soap. As a reviewer for SFFWorld / SFFWorld Blog and maybe because of this blog, I receive a lot of books for review from various publishers. Since I can't possibly read everything that arrives, I figure the least I can do (like some of my fellow bloggers) is mention the books I receive for review on the blog to at least acknowledge the books even if I don't read them. Sometimes I get one or two books, other weeks I'll get nearly a dozen books. More often than not lately, the numbers have taken a dip to under a half-dozen books per week. Some weeks, I’ll receive a finished (i.e. the version people see on bookshelves) copy of a book for which I received an ARC (Advance Reader Copy) weeks or months prior to the actual publication of the book. I’ve been receiving a greater percentage of electronic ARCs this year which is good because death via drowning in a sea of unread books is not how I want to say goodbye to this world. 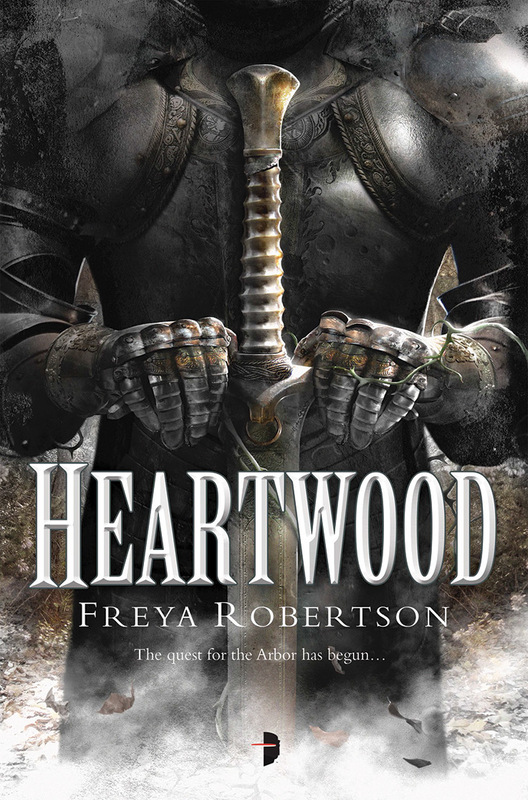 Heartwood (Elemental Wars #1) by Freya Robertson (Angry Robot Hardcover 07/30/2013) – Debut from Robertson, who hails from New Zealand and has been writing short stories and participating in Guild Wars fan fiction. A dying tree, a desperate quest, a love story, a last stand. Chonrad, Lord of Barle, comes to the fortified temple of Heartwood for the Congressus peace talks, which Heartwood’s holy knights have called in an attempt to stave off war in Anguis. But the Arbor, Heartwood’s holy tree, is failing, and because the land and its people are one, it is imperative the nations try to make peace. The knights divide into seven groups and begin an epic quest to retrieve the Arbor, and save the land.. 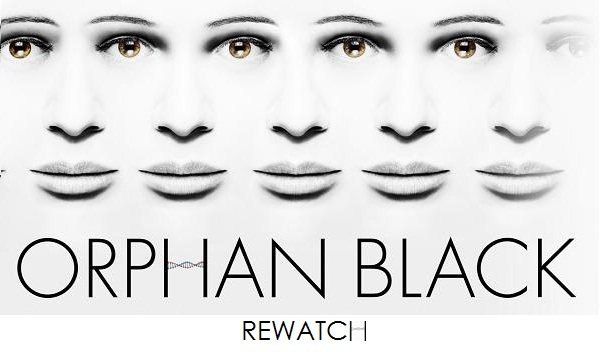 I can now officially announce that I'm the curator of the Orphan Black Rewatch over on Tor.com! The intro post went live today in which I write about how much I enjoyed the series and why everybody should be watching it. I've been saying how great the show is for a while and would say it even if I wasn't doing the rewatch (BBC America is re-airing the show on a weekly basis beginning this coming Saturday the 14th) and recapping season two (which begins March 30, 2014). The Third Kingdom (A Richard and Kahlan novel) by Terry Goodkind (Tor Hardcover 08/20/2013) – Another not-a-fantasy novel by Terry Goodkind, it is a “Richard and Kahlan” novel not a Sword of Truth. Terry Goodkind returns to the lives of Richard Rahl and Kahlan Amnell—in The Third Kingdom, the direct sequel to his #1 New York Times bestseller The Omen Machine. Richard saw the point of a sword blade sticking out from between the man’s shoulder blades. He spun back toward Richard after throwing the woman out the opening, ready to attack. It seemed impossible, but the man looked unaffected by the blade that had impaled him through the chest. It was then, in the weak light from the fire pit off to the side, that Richard got his first good look at the killer. Three knives were buried up to their brass cross-guards in the man’s chest. Only the handles were showing. Richard saw, too, the broken end of a sword blade jutting out from the center of the man’s chest. The point of that same blade stuck out from the man’s back. Richard recognized the knife handles. All three were the style carried by the men of the First File. He looked from those blades that should have killed the big man, up into his face. That was when he realized the true horror of the situation, and the reason for the unbearable stench of death. Another week, a few more books, each a sequel or later installment of an ongoing series. Edward Lazellari brings you The Lost Prince, and the race to find the missing prince is on . . . In Lazellari’s debut fantasy, Awakenings, New York City cop Cal MacDonnell and photographer Seth Raincrest found themselves stalked by otherworldly beings intent on killing them. The two had to accept the aid of a mysterious woman to unlock their hidden pasts, and what they discovered changed their lives. Everything they knew about their lives was an illusion. They had in fact travelled to our dimension from the medieval reality of Aandor to hide their infant prince from assassins, but upon arriving, a freak mishap wiped their memories. Cal, Seth, and the rest of their party were incapacitated, and the infant prince was lost. Thirteen years later, that prince, Daniel Hauer, is unaware of his origins—or that he has become the prize in a race between two powerful opposing factions. Cal and Seth’s group want to keep Daniel safe. The other wants Daniel dead—by any means necessary. From the streets of New York City to the back roads of rural North Carolina, the search for the prince sets powerful forces against each other in a do-or-die battle for the rule of the kingdom of Aandor. Against a backdrop of murder, magic, and mayhem on the streets of New York City, victory goes to the swiftest and the truest of hearts. 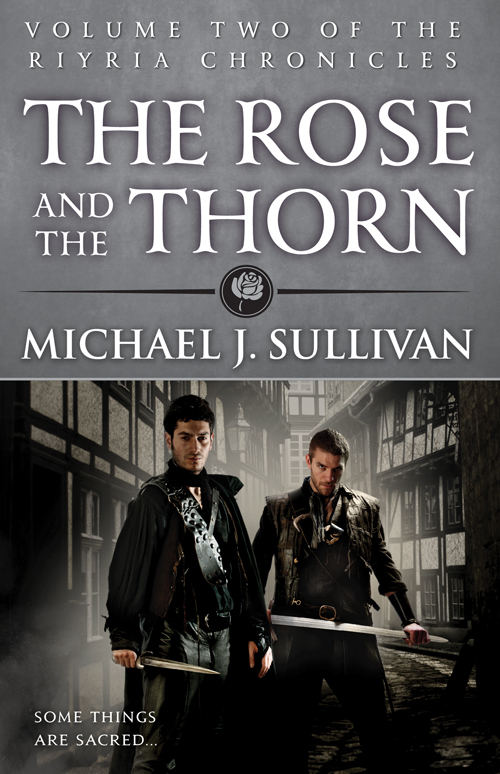 The Rose and the Thorn (Volume 2 of The Riyria Chronicles) by Michael J. Sullivan (Orbit, Trade Paperback 09/17/2013) – I really enjoyed the six book/three omnibuses Orbit published of Sullivan’s Riyria Revelations about a year ago (Theft of Swords, Rise of Empire, and Heir of Novron). 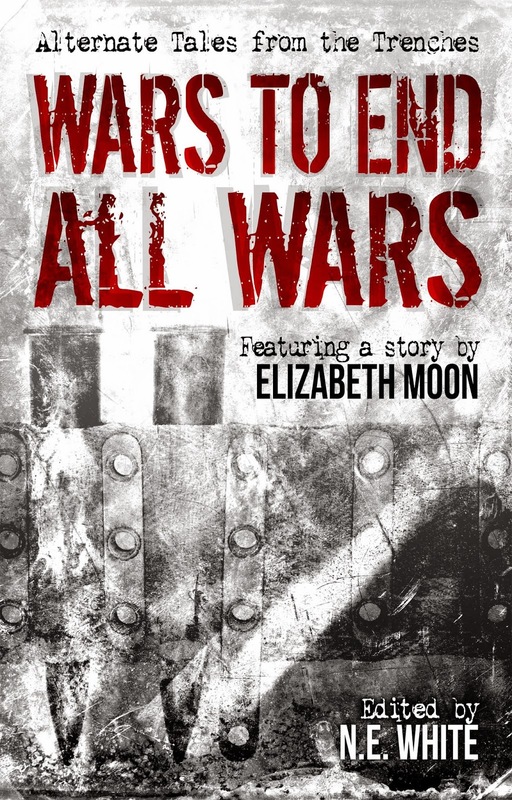 This book is the second of a prequel duology chronicling how Royce and Hadrian formed the Riyria. Two thieves want answers. Riyria is born. For more than a year Royce Melborn has tried to forget Gwen DeLancy, the woman who saved him and his partner Hadrian Blackwater from certain death. Unable to get her out of his mind, the two thieves return to Medford but receive a very different reception —- Gwen refuses to see them. The victim of abuse by a powerful noble, she suspects that Royce will ignore any danger in his desire for revenge. By turning the thieves away, Gwen hopes to once more protect them. What she doesn't realize is what the two are capable of —- but she's about to find out. As Denver adjusts to a new master vampire, Kitty gets word of an intruder in the Denver werewolf pack’s territory, and she investigates the challenge to her authority. She follows the scent of the lycanthrope through the mountains where she is lured into a trap, tranquilized, and captured. When she wakes up, she finds herself in a defunct silver mine: the perfect cage for a werewolf. Her captors are a mysterious cult seeking to induct Kitty into their ranks in a ritual they hope will put an end to Dux Bellorum. Though skeptical of their power, even Kitty finds herself struggling to resist joining their cause. Whatever she decides, they expect Kitty to join them in their plot . . . willingly or otherwise.